Greece or Italy? How about both? If you're seeking hot sun, warm seas, diverse landscapes, and lots of history for your honeymoon, then Greece is the perfect choice. This country has indeed a huge amount to offer to its visitors. 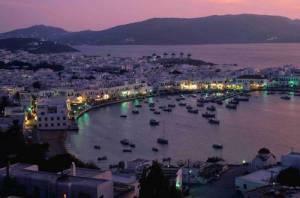 And that's why the dazzling Greek Islands are among the most desirable destinations for honeymooners worldwide. Within Greece, Mykonos and Santorini, with their spectacular views and unique character, form the first choice for most of the couples traveling to this magnificent country. A Greek honeymoon is your chance to discover a stunning civilization, soak up the sun and meet friendly, fun-loving people. Whether you want to wile away the hours on a cafe terrace, or explore centuries-old ancient ruins, the islands will offer you what you're looking for. 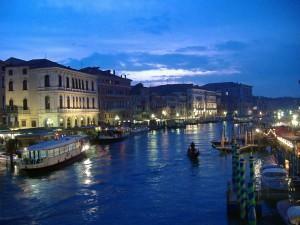 By way of contrast, for an island experience of a different kind, there is no better choice than Venice! The Grand Canal, its tiny side streets, St. Mark's Square and the magnificent Basilica, the Rialto Bridge, Doge's Palace, the colorful island of Burano, and the famous glass blowers on the islands of Murano ... far too many highlights to mention in one short paragraph! Here's an opportunity to combine the best of both honeymoon destinations in one program ... pure, unadulterated romance! 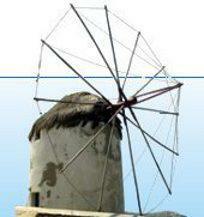 We have prepared several ready-made itineraries for you to choose from, offering the best of both Italy and Greece. If you'd like to design your own honeymoon itinerary, just send us an email and let us know of the dates you're planning to travel, the ideal destination(s) of your honeymoon, and your approximate budget. We'll get right back to you with an itinerary designed especially for you!